Images might not reflect actual foods. We can alter spicy to suite your taste. If there are any persons in your party, has food alergy, let us known. Your orders list is empty. Tap on price to add order on your list. 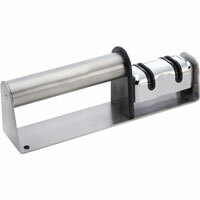 Knife Sharpener 2 Stage Diamond Hone Pro. Simple Design Makes Sharpening Your Knives That Whole Lot Easier, Ease of Use.